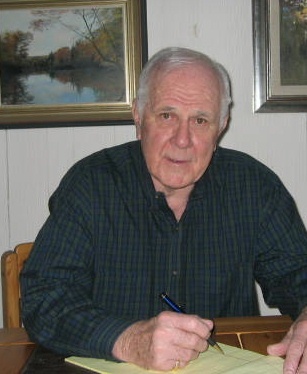 Robert Harry Smith, 88, of Manchester Vermont passed away. 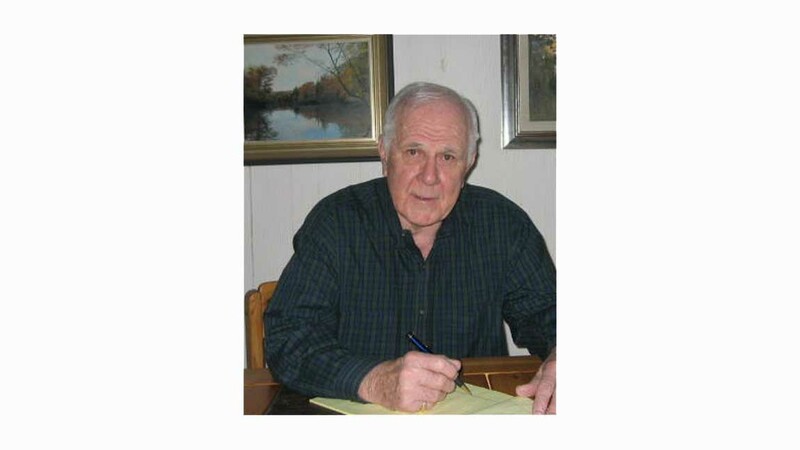 Robert Harry Smith, 88, died February 15, 2018 at the Southern Vermont Medical Center in Bennington, Vermont. Bob was born on June 14, 1929 in Ridgefield Park, New Jersey, the son of the late George Washington Smith and Bertha Henrietta (Schmidt), stepson of the late John Robert MacDonald, preceded in death by his brother, George Smith. Bob attended Dwight Morrow High School in Englewood, New Jersey. On the local field, he was privileged to have been coached in sports and life by the emergent legendary coach Vince Lombardi, under whose tutelage he thrived not only in physical regimen, but also in skill and discipline on the chess and debating teams. Bob left high school to serve in the US Army in Darmstadt, Hesse, Germany, returned in 1949 to acquire his diploma at Jersey City Prep, Jersey City, NJ. While in post-war Europe, he was celebrated for his prowess in baseball, football and basketball and at the same time helped to bring the US Army teams to victory. Self-described as a “peddler,” Bob worked his way up the ladder in the publishing business. He developed and grew a local New Jersey newspaper’s home delivery business, and also was a top salesman and regional manager for McGraw-Hill. With a partner in the early 1970s he created the first-ever specialty real estate magazine. After the successful sale of his business, Bob retired in 1987 as CEO of Connecticut-based Homes Magazines, a publishing company and leader in the Real Estate magazine publishing industry. A passionate bridge player, Bob earned Gold Life Master status in 2015. His love of the game and dedication to its growth were well-known. He personally directed games in the Manchester & the Mountains area and often gave free lectures and lessons solely for the joy of promoting what he considered to be the most competitive of all games. He instituted a “guaranteed partner” policy to ensure that anyone who wanted to play would have a partner, and insisted on what he referred to as “Vermont Friendly Bridge.” At a celebration in December, 2017, local players honored Bob for the positive impact he had on bridge in Manchester. Robert Harry Smith was an active Free Mason, raised nearly sixty years ago on April 11, 1958 at Whitehead Lodge, NJ. He affiliated Adoniram Lodge on Spruce Street in Manchester in June, 2008, and in 2009 was admitted to the Cairo Shrine of Rutland. He settled in Vermont for skiing, stayed for the love of it. Furthermore, he was an avid gardener and golfer. He loved to dance as well as listening to jazz music. Bob collected art, drove fast cars and cherished his beloved dogs, Duke, Billie, Gunner, Oscar and Jake, and his sweet feline, Jazzmine. Bob is survived by his wife, Patricia Lorenzo, whom, no matter how long they were married, he referred to as “his bride.” He also leaves behind his sisters Marylou Oser (Gustav) and Gloria Anderson (William); his daughter, Roberta Lee Vries (Norman) and his son, Karter Craig Smith (Deborah), his grandsons Garrison Smith and Evan Smith, his step-children, Erin O’Brien Swain (Michael), and retired Lt. Cmdr. USN Brendan T. O’Brien (Alisa), his bonus grand-children, Colin O’Brien, Aidan O’Brien, Liam O’Brien, E. Patrick Swain, Mary Catherine Swain, Gerald Vries and Norwin Vries, and also his many nieces and nephews. Bob also leaves behind an extended family that includes his wife’s sister, Adrianne Colosi (James) in addition to brothers Paul Lorenzo (Karin) and Richard Lorenzo (Dawn). Family and friends will gather mid-summer for a memorial celebration of the life of Robert Harry Smith. Gifts in his memory may be made to the The ALS Association Northern New England Chapter, webnne.alsa.org. Bob was a good man. Honest, straight forward and hard working. We miss working with him. Ditto what Jim Cole said. Bob was a wealth of knowledge and fun to be around.